For more than fifty years Curious George has enchanted and entertained generations of young children. He is curious, active, mischievous - what more compatible subject for the delights of a pop-up book? Now young readers can see their favorite sequences come alive as George tries on the yellow hat, escapes along telephone wires, and flies high in the air attached to a large bunch of balloons. 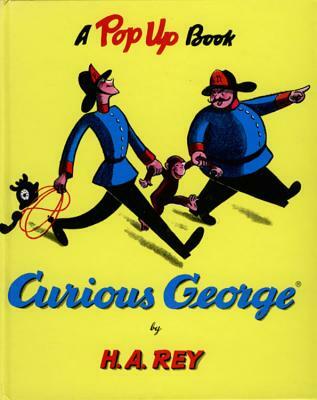 Based entirely on the original book Curious George, by H. A. Rey, this book will delight old and new fans alike with George's newfound freedom of motion.